What have we done? We have over-intellectualised health. We—the youthful, affluent, busy, well educated elite—run the NHS as we would want for ourselves. We think of how we would choose to get our hernia “fixed” by the best possible surgeon at a time of convenience before going back to work. As an orthopaedic surgeon, I get this. It is tidy. Yet most healthcare is consumed by those who have few choices, multiple conditions, and financial worries. Seventy per cent of the UK’s annual £120 billion NHS spend is for conditions that might have been preventable. In hospitals 3% of the patients make up 45% of the costs. These aren’t the 3% you might think of—they’re not the patient in the ICU, SCBU, or transplant ward—but somebody’s granny, sitting quietly and trying to be no trouble, with multiple comorbidities and a string of treatments and investigations, as someone seeks an elusive care home bed for them. Prevention is too important to foist onto primary care or to leave to public health. Unless people in their 50s and 60s get up and become active, we are all doomed to pay for their future social care. Exercise works as primary prevention. One hundred and fifty minutes a week of moderate exercise prevents 25% of breast cancer cases, 30% of dementia, and 30% of strokes. Of course, 75% will still happen, but 25% is still a lot. Divided doses (for example, 30 minutes of exercise five times a week) deliver the best outcomes on glycaemic control, inflammation, and vascular effects. The dose-response curve plateaus at around one hour a day. Yet 25% of UK adults do less than half an hour of exercise a week. What needs more focus is secondary prevention. For people who already have heart disease, diabetes, mental health conditions, arthritis, fragile bones, or cancer, exercise can prevent complications and reduce deterioration; it should be a major part of their management plan. This effect is better than many drugs and almost immediate. The Netherlands had a congestion, pollution, and car problem 40 years ago—their lovely cycle network started as retro-fitting. Finland worked hard and reversed the world’s highest cardiac morbidity by encouraging people and places to support exercise. Wales has introduced an Active Travel Act. Yet in England, developer payments to help support the infrastructure of their area—under Section 106 grant funding or a Community Infrastructure Levy—often come too little, too late, and with too little oversight. The cycle lanes and green spaces on the consultation plans often do not appear in the final structure. There are huge inequalities in health. To get the intellectuals on board, we need to discuss more embarrassing matters: money, death, and social class. More people than ever are heading towards needing 24 hour care, which costs roughly £1000 a week, involving three whole time equivalent workers (perhaps on minimum wage around £7.20/hour). Now let’s own up to the biggest taboo: property prices. Our own parents can afford five years of care costs because they had a house worth a quarter of a million that they bought cheaply in the 1970s. But what about future generations? A lifetime’s earnings over 50 years on a low wage won’t pay for that person’s future care home costs. Only 71% of the working age population are economically active to pay for the others. And what about people who now have nothing? We don’t see them. They don’t complain. They sit indoors with the sadness that dependency, and vitamin D deficiency, brings. We must be braver about imploring middle aged people to get moving every day: out of cars, off sofas, and away from computers. Modern sloth and gluttony hide in busy lifestyles and procrastination. With exercise, there is a positive message to communicate and endorphins work each time. There is no drug company sponsorship behind having walking/running shoes ready by the front door or encouraging older people to do squats, dance, or go out to the shop. Small solutions like these can also help anger management or social isolation. Almost one and a half million people work in the NHS and 1.6 million in social care. In East Sussex, one third of working people work in health, social care, or education. Each person has neighbours and family. Our power for change is huge. For individuals, we need to nudge, cajole, and support each other to find “exercise, the miracle cure.” For societies, we need to legislate for environments that allow this. The UK has started building up to a million new homes and rolling out major transport infrastructure. We should demand play parks, running tracks, and cycle lanes alongside roads and through all developments; cycle parking by all public buildings; and inspection regimens including staff wellbeing. Senior figures privately fear that if more people get fitter they would live longer and need more healthcare. Ironically, we extrapolate from our knowledge of hip replacements, which are almost unique in the atlas of variation in increasing with age, affluence, and activity. Nothing else does this. Humans are already living longer, but then we stop. The human body is built to be active, then die after a short illness. There is a natural human lifespan, as for all mammals. The longevity curve is rectangularising, but only if you are wealthy and/or active. For many individuals, there are decades of ill health. Nine per cent of people aged over 65 are living with dementia, 16% with heart disease, and 20% with depression. Seventy year olds live with an average of three long term conditions. From an actuarial perspective, being fitter only adds a few years of total life, but it adds many years of disability free life. If a person can lose the burden of just one of their multiple comorbidities, this improves their independence and happiness. Even Japan—which has an obesity rate of 3.5%, small portion sizes, and cycle lanes to die for—is now tackling the “locomotive syndrome” (inactivity) as their ratio of older people to working aged people increases. In Oxford, 43% of adults cycle regularly and in Cambridge 58%, whereas in Eastbourne only 15% do and in Rochdale only 10%. Is the Oxbridge effect money, social class, or exercise? Public schools emphasise sports, which establishes lifestyle habits. We select doctors and NHS managers using objective criteria that find the driven, intellectual, alpha individuals. We should work harder at the art of medicine, understanding what might be possible within each patient’s circumstances, and save the science of intervention for last resort. Exercise, education, and efficacy win every time. We have done it with seatbelts and dog poo. A combination of legislation and individual expectation changes culture. The NHS needs to lead on this. We should acknowledge the numbers and develop a new paradigm for health. Now we must mention activity in every consultation, give space and time to every cyclist or pedestrian, open swimming pools and playing fields, and lobby for more active societies and environments. What if the NHS could challenge people, staff, local government, the Treasury, education, and transport to reduce health inequalities? The effects would start immediately. And what if we don’t? We’re looking at not just the NHS’s failure and avoidable misery, but wholesale UK economic meltdown. Let’s get going. 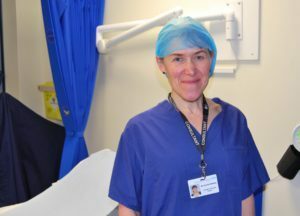 Scarlett McNally is a consultant orthopaedic surgeon at Eastbourne District General Hospital. Competing interests: Scarlett McNally is an elected council member of the Royal College of Surgeons. The views in this article are her own and do not represent those of any organisation to which she is affiliated.